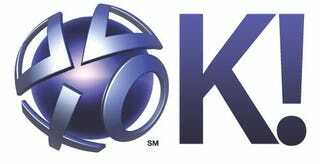 Sony Warning: Don&apos;t Turn On Your (Fat) PS3 If You Have Error 8001050F! I wanted to let you guys know that the phat PS3s are now able to login to the Playstation network and the clocks are working. I was able to login at 6:28 PM eastern time in the Boston, MA USA area. No official word from Sony yet, however, so proceed with caution. Update: Multiple readers are reporting that things are fixed, and they now can use their PS3s normally.